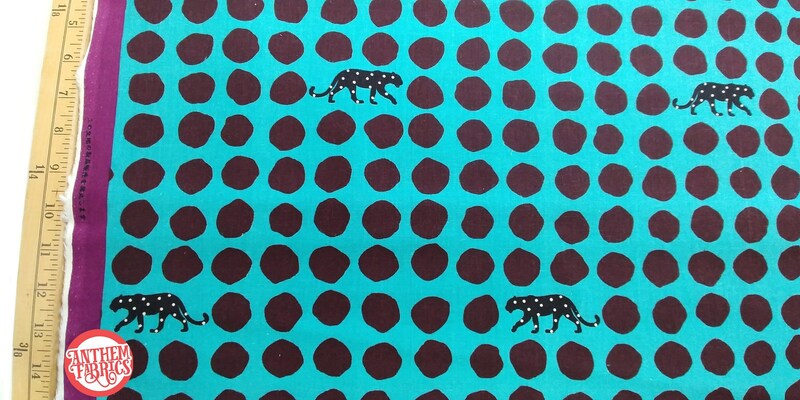 Black panther with chocolate brown polka dots on turquoise blue background. 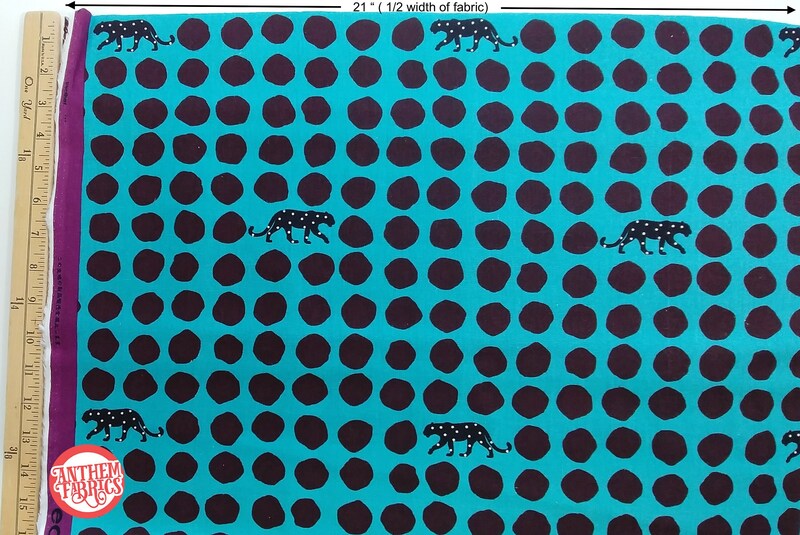 The panther measures 2"(length) x 1"(height). Vertical pattern repeats every 12". 45% cotton, 55% linen blend. Light canvas like feel. Suitable for making interior décor items or apparel. Priced per half yard increments. A continuous cut is sent when you buy multiple units. ( 1/2 yard = 18x42 inches, metric: 46x110 cm ). Limited quantity, as shown in the drop down box..